At this point in their argument Clayton and Knapp begin to move in a different direction. Up to this point their evidence for what they have called “minimally personalistic theism” (MPT) has been drawn from human experience in general. Now they begin examining the specific claims made by the Christian tradition in particular. Their focus is on the claim of Jesus’ resurrection. In essence they are attempting to make sense of this claim in light of their own view of divine action that they have been developing in the first half of their book. The authors admit from the outset that the belief that Jesus rose physically from the dead (of course, this could mean many things but what I mean now is the idea that the resurrection could have been photographed) is impossible given their commitment to MPT. Causing a dead person to come back to life again would of course count as a firm break in the laws of nature. 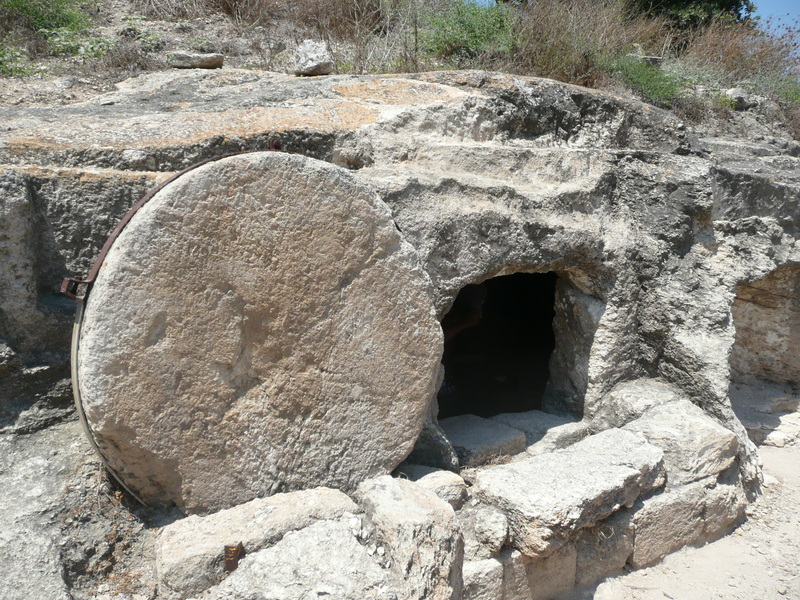 The Symbolic View: This view says that the disciples continued to experience the truth of Jesus’ life and teaching after his death and, because of their Jewish context, appropriated the notion of the bodily resurrection from the dead to make sense of their profound experience of Jesus’ postmortem presence. According to this view, what the disciples experienced after Jesus’ death had nothing to do with the actual person of Jesus but rather the with the disciples own interpretation of Jesus’ life and death. The Exemplary View: This view is very similar to the symbolic view but goes beyond it by saying that Jesus was not merely remembered by his disciples but also served as an example for them in their own life and faith. Thus, Jesus lives on in those who choose to embody his teachings. What the life and death of Jesus accomplished, then, on this participatory account was the creation of a new possibility of interaction between God and human beings. Human beings share the “Spirit of Christ” insofar as they enter into the same relationship with God that was embodied in Jesus’ self-surrender to the one he called his “Father.” The heart of this theory, in other words, is that, in the event that came to be known as Jesus’ resurrection, his self-surrendering engagement with God became newly available, through the agency of the divine Spirit, to his followers, then and since, as the form, model, and condition of their own engagement with the divine. The event of Jesus’ self surrender somehow became central to “the mutual participation of divine and human agency” that we introduced in Chapter 3…. Through this event, the disciples saw themselves not only as experiencing a new human insight into the nature of God (the symbolic view), but also, somehow, as participating in God through their role as Jesus’ disciples. Thus, this view does more than the first two theories in that it provides a role for both God and humanity (In other words, God actually did something in the resurrection event.) while avoiding the problems that come with saying that God made Jesus’ dead body come back to life again. I offer you the following video as a reminder of the fact that it is the way our beliefs function in our day to day lives (rather than the beliefs themselves) that is most important. I understand that resurrection talk can, because of the weightiness of the Christian claim of Christ’s resurrection, easily become polarizing and divisive. Here we get a perfect picture of what’s been described above. When I die my soul, or “the real me”, will fly away to heaven. The implication of this view of the afterlife is that life in the present is almost devoid of any meaning. We are to push through each weary day without much hope for the world around us. What really matters is that one day we’ll get to be with Jesus in heaven. I myself used to believe that this is indeed what the Bible teaches us about heaven. I’d like to share with you an excerpt from a poem that I wrote around the beginning of my high school years. Notice the low view of the body: it’s merely a shell of flesh that contains my soul; this shell of flesh is not the real me but rather contains the real me, that is, my soul. The body is a temporary home that we are to live in until we die and are released from these prisons that hold us captive. How has this theology manifested itself in the life and ministry of the church today? For one, our evangelism has become primarily concerned with saving souls as opposed to feeding the hungry or housing the homeless. The dichotomy that we’ve created between the physical and the spiritual has caused us to be wrapped up in attempting to address people’s spiritual health before we even think about what might be causing them physical, emotional, or relational harm. Our church services, then, in an attempt to save as many souls as possible, have become “seeker sensitive”. If we can get them to like our lights, big drums, and trendy pastors then maybe we can get them to accept Jesus into their hearts. And who really cares about discipleship anyway? It’s more about getting people to pray the prayer so that they can get their one way ticket to heaven, right? And what about our view of the environment? If we believe that the spiritual is what matters then we really shouldn’t care too much about taking care of God’s creation because at the end he’s probably going to burn it all anyway. The earth is to be subdued and used for our selfish purposes while we wait for Jesus to come back and rapture us into heaven. This modern day gnosticism that rejects the material in favor of the immaterial often leads Christians who have put there faith in Jesus to ask the famous “now what?” question. If the only thing that matters is getting to heaven after you die then what’s the purpose of this life? Is it really all about just waiting until we die so that our souls can float off into immaterial bliss? Are we really only supposed to partake in the more spiritual activities like prayer and Scripture reading because everything else is mere vanity? In 1 Corinthians 15 Paul paints a much more optimistic and holistic picture of the Christian hope. It can be summarized with one word: resurrection. Some might be surprised to find out that the New Testament doesn’t tell us much about life after death. Instead it is concerned mainly with life after life after death, that is, the resurrection life that we will share when that final trumpet is blown and Jesus returns in order to clothe us with immortality. This is what the New Testament calls heaven. Heaven is not the place where we go after we die but rather, it is the resurrected life that we will share with Jesus and all God’s people after Jesus returns. It is the doctrine of the resurrection of the dead that affirms the idea that our good God has created a good creation that he longs to redeem. Our bodies, God says, are good. The earth is good. The physical is good. The plan is not burn the earth and start all over. In fact, the resurrection of our own bodies is just a fraction of what God wants to do for his whole creation. We learn in Romans 8 that creation is groaning as in the pains of childbirth, waiting for the children of God to be revealed so that we might be the means by which God brings redemption to everything he created. This is far from the theology of “I’ll Fly Away.” That sort of theology would have us sit down and grit our teeth through each weary day as we wait for death. It seems that there is, instead, work to be done. Paul’s eschatology calls us to open our eyes and see the world through a new lens. God is making all things new and he has called us to join him in his work There is indeed hope for the present world. The promise of resurrection reassures us that in some mystical, incomprehensible way everything beautiful, loving, just, and right will carry over into God’s new creation. This is exactly why Paul, after 56 verses of explaining the resurrection to his audience, reminds them that nothing they do for the Lord is ever in vain. Their selfless, sacrificial love for one another will actually carry over into the new heavens and new earth. Their attempts at bringing justice to the hurting world around them is not futile. The same is true for us today as Christ’s church and as individuals. As we pursue wholeness and peace in our communities we need to be reminded that our labor is not in vain. As we pour ourselves out for the sake of serving our brothers or sisters our work is not in vain. Even activities that we might consider “small” or “insignificant” become, in this light, meaningful and incredibly significant. Anytime we provide a listening ear to someone who is hurting we can rest assured that it is precisely that sort of action that will carry over into God’s new creation. Volunteering at a local youth group in order to build up and encourage the kids of our community is not to be understood as something without significance but rather, as an act of love and service that God will somehow, in a way that is beyond our comprehension, incorporate into his redeemed world. Our advocating on behalf of the poor and destitute is of lasting value. There is continuity between this life and the life of the Age to Come. The things we do in the present actually matter in God’s grand scheme.